Lot of Filipinos, don’t have reasons not to consume Iced Tea. They just drink and drink. And most restaurants offer and serve this kind of cold drink. Some of them are offering bottomless iced tea. But now a days, you can really taste the difference which one is good or not or even which one is better. We don’t usually drink Iced Tea at any restaurants, even free at a party. We’d rather drink house water. =) But Iced Tea from Wendy’s, we use to drink this every time we are in a place that has a Wendy’s store instead of drinking other drinks outside. Taste of iced tea here is natural and different. My wife and I are long time fans of this since BF-GF relationship. =) Luckily, there is a take-out booth franchise store here at ATC. 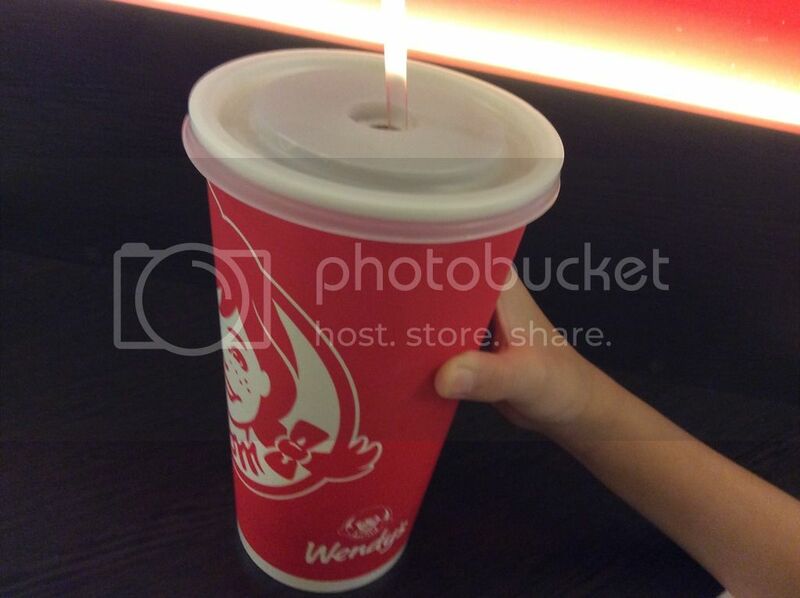 Yesterday, we bought 2 Wendy’s Biggie Iced Teas light/sugar free and some snacks such as popcorn and nacho chips before heading to the cinema to watch Alvin and the Chipmunks movie. gusto ko yung Bake potato ng Wendys then Ice Tea …..